Discounts- Weekly 15% / Monthly 25% off. Free Delivery with 4 day rentals. Don’t miss your chance to rent a Tesla. 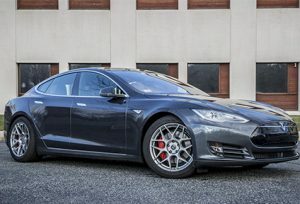 This is your chance to rent a Midnight Silver Metallic 2016 P90DL Tesla Model S equipped with Ludicrous mode & Auto-Pilot. That’s a 762HP getting it from 0-60 in 2.8 seconds. This is a Sedan is one of the quickest cars in the world. Placed in a league of the fastest super cars with the Comfort, Safety, and Technology to be enjoyable to drive everyday.